Cryptocurrencies are fuelling a modern day gold rush. How can we use Postgres and some SQL to better understand this evolving market? Ansible, an open source automation tool, can make complex configuration and management tasks in Postgres simple. 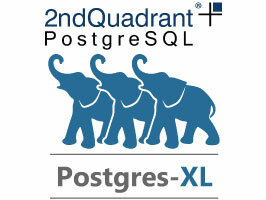 Postgres-XL is a massively parallel database built on top of and very closely compatible with PostgreSQL 9.5. It is flexible enough to handle OLAP & OLTP workloads and is Horizontally Scalable with all the features of PostgreSQL. It’s being held November 3-4 and the CFP is open till August 20. Part two of a series, this one looks at how HyperLogLog can be combined in various ways to give you more efficient rollups for dashboards and metrics. Working with calendars can be surprisingly frustrating from various formats to dealing with the nuance of leap years. Postgres yet again can do much of the hard work for you as shown here. Crafting SQL queries to return ‘Regional Indicator Symbols’ which are formed as special combination of Unicode characters. What is 'SKIP LOCKED' for in Postgres 9.5? A year old but has become popular on social media again this week.